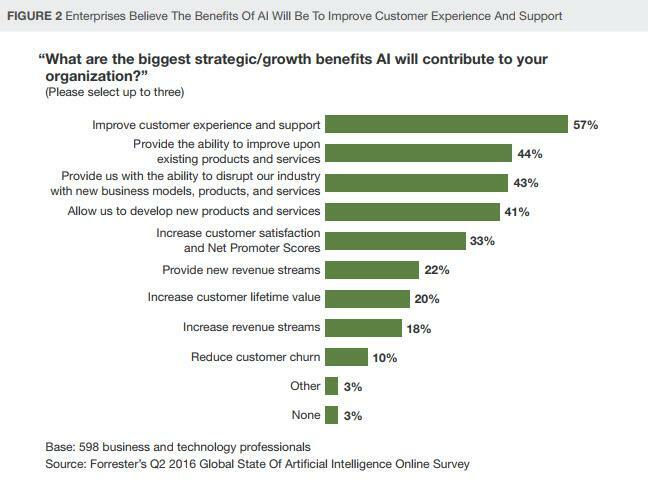 According to the research agency Forrester, 84% of businesses are either implementing or expanding the use of Artificial Intelligence (AI) / Machine Learning (ML) this year. If your business is one of the approximately 1 in 6 which is not, you may well be starting to feel like you have been left behind. What is AI and how can it impact digital customer experiences? AI & ML are umbrella terms used to describe the concept of loose pattern matching. To businesses, they represent a way of analyzing data stores and establishing the correlations between data points. In short, they’re ways to speed up the refining of the ‘Big Data’ investments many companies have made and turning that data into customer experience improvements, which can raise revenues and improve customer satisfaction. The goal, as always on a website, is to use technology (here, AI and ML) to help your users achieve their intent on your site – in line with the commercial outcomes that it’s your job to drive. To bring the concept to life, consider your own digital interactions. When you visit the Google Play store and see a list of films which ‘magically’ appeal to you, when you scroll through your Facebook story stream and see news articles which you’re interested to review, and when you receive an email with an offer from a company you’ve used before – at a time when, coincidentally you have a moment to review it, you are likely to be experiencing AI in action. In each case, an algorithm has studied the ‘right’ pieces of content (those most likely to appeal to your preferences) to show you – specifically you – based on the information the company has available about you. Increasingly, the services which provide those ‘magically right’ pieces of content are often sold as part of an ‘AI as a service’ model, and charged per use. This sort of pricing makes it extremely easy for companies to make a start on implementing AI solutions. Here are some of the ways you can make a start on your AI journey if you haven’t already done so. Over time, AI is becoming increasingly mature. That means that there is a growing range of ‘off the shelf’ applications, which can be bought and relatively easily (compared to starting from scratch) implemented on your site. 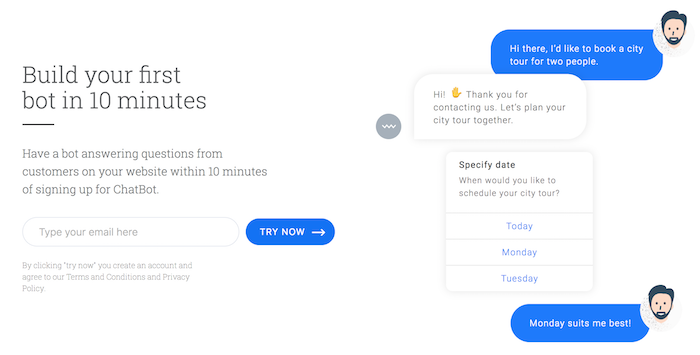 Chatbots: Chatbots, AI-based services which ‘understand’ natural human language and provide appropriate support answers based on customer queries, are one of the fastest growing, and most accessible methods of implementing AI solutions on your site to improve your customer’s experiences. Many customer support inquiries are high volume and repetitive. If one visitor faces a support issue and needs help, the chances are that many others will experience the same thing. There are now a large number of tools and services which can make the process of setting up a chatbot far easier than building one from scratch yourself. Services like Bot Engine make it easy to experiment with Ai solutions which can improve your customers’ experiences and your bottom line. Cross-selling relevant products: Identifying, as Amazon does, the products which are relevant to customers who are considering a single purchase offer the opportunity to make the most of a customer who has committed mentally to buying and raise the share of wallet that you have access to. It’s one of the fastest growing aspects of AI technology and there are a host of providers you can use to help you. It would not be hard to make the case that Apple are building the future of the iPhone on customer experiences based on AI. Their 2018 iPhone range included chips specifically designed to perform the sort of calculations used in the AI examples we’ve given above. If it’s good enough for Apple to build their roadmap around, it’s probably something you should be considering yourself. Start with a specific problem that you want to solve, a KPI you want to address, and use one of the partners we’ve identified to get yourself live in front of real customers, soon. Or you really will be left behind.